Native Americans are a foundation to the history of the United States. Because they were displaced by the United States government, the Chickasaw make an interesting topic for a US history research paper on Native Americans. Paper Masters will write your Chickasaw research paper exactly according to your specifications. 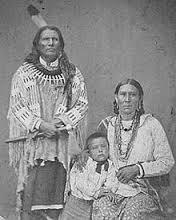 The Chickasaw are a Native American tribe of the Southeastern United States, originally concentrated in areas of Mississippi, Alabama, and Tennessee. Considered one of the “Five Civilized Tribes,” the Chickasaw adopted many European practices until they were forcibly removed to Oklahoma during the first decades of the 19th century. A time line should be drawn in any research paper on the European contact that the Chickawaw encountered. The first contact between Europeans and the Chickasaw occurred in 1540, when Hernando De Soto encountered the tribe. Trade with British colonists began in the 1670s, following the establishment of the Carolina colonies. During the French and Indian War, the Chickasaw were aligned with the British, frequently battling the rival Choctaw tribe. The Chickasaw signed the Treaty of Hopewell in 1786 with the newly formed United States, establishing peace between the two peoples. White settlers soon began encroaching on Chickasaw lands, forcing the tribe to cede most of their territory under the Treaty of 1818. In 1837, the United States began removing the Chickasaw people to Oklahoma. The tribe demanded $3 million dollars from the U.S. government in exchange, but the U.S. refused to pay for another 30 years. By the 20th century, the Chickasaw Nation had established itself, with headquarters in Ada, Oklahoma, and is the 13th largest Native American tribe in the United States. John Herrington, NASA astronaut and the first Native American in space, is a member of the Chickasaw Nation. Bury My Heart at Wounded Knee Research Papers delve into a book by Dee Brown that brings the attention to the torture and atrocities encountered by the American Indians, in the attempt of the Europeans to form this new country. Seminole Indian research papers examine the history and culture of the Seminole Indian tribe. order a research paper on the Seminole Indians from Paper Masters. Colonization of New England - An examination of the research in conjunction with colonization of New England characterization of the colonizer and the colonized reveals that the perception of the intent of English Colonization of New England as a cultural and moral mission may no longer be justified. Paper Masters writes custom research papers on Chickasaw and analyze the Native American tribe of the Southeastern United States.